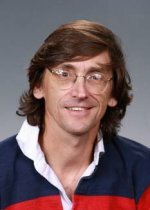 Congratulations to Pacific Northwest National Laboratory scientist Dr. Garry Buchko, who made several contributions to the September 1 issue of the scientific journal Acta Crystallographica, Section F: Structural Biology and Crystallization Communications. The cover of the issue, which is dedicated entirely to efforts of the Seattle Structural Genomics Center for Infectious Disease (SSGCID), will feature PNNL's logo and two protein structures Buchko determined using data collected on the suite of NMR spectrometers at EMSL, a Department of Energy scientific user facility located at PNNL. Much of Buchko's research is with SSGCID, a consortium of scientists from the Seattle Biomedical Research Institute, Emerald BioStructures, and the University of Washington. The Center was funded in late 2007 by the National Institute of Allergy and Infectious Diseases to determine protein structures from biodefense organisms and emerging infectious diseases. By the end of 2012, the Center expects to have solved more than 500 protein structures from pathogenic microbes. These will serve as starting points for structure-based drug design projects. Buchko is a structural biologist in the Biological Sciences Division at PNNL who uses both NMR- and XRD-based methods to determine the structures of biological molecules and to explore their functional properties. The three protein structures he describes in this issue of Acta F are from bacteria responsible for the infectious diseases tuberculosis, brucellosis, and cat scratch fever.